We’ve all seen those “survival” shows, claiming that one dude can wildly run around the woods, procuring all the necessities of sustenance through fashioning a makeshift spear from an old boat propeller and skewering a 10-point buck …but entertaining as that is, it just doesn’t work like that. Securing meat sources is not one of those parts of bugout life you simply leave to chance “because we saw them do it on TV”, so thinking that we’ll be able to remain fat and happy only off an abundance of hares might not be productive. And, even if this were possible for the best of the backwoods experts, the rest of us need to consider the fact that we may not be that good. Being forced to learn such a craft during a survival situation is certainly not an optimal scenario. However, even thinking that we’ll be able to make the tree line by the crack of dawn, carrying only ye olde’ Ruger 10/22, and taking home enough meals to feed the mobile homestead may probably be a disappointing fallacy, as well. Depending on where you live and how abundant game may be in your area, there’s a good chance you’re going to have to throw out all the stops in your quest to feed you and especially your loved ones. This is why learning the ancient art, wilderness methods, and backwoods traditions of trapping should be one of your top priorities. That is, if you want to sustain yourself on more than just the MREs you brought along for the ride. It should be said right off the bat that not every type of bugout bag requires a comprehensive trapping kit. In fact, you might even be doing more harm than good if you load up your 72-hour emergency bag with heavy traps, depending on your fitness level and skill. The reason I would not ordinarily advocate bringing along a long-term trapping kit in your 72-hour bag is simply because of the philosophy behind the scenario. Your 72-hour bag is simply meant for a temporary survival situation, in which you are hoping to be found and rescued shortly thereafter. Carrying along a large trapping kit doesn’t make sense, and that weight would better serve you if it were replaced by medical supplies, food, and signaling options. 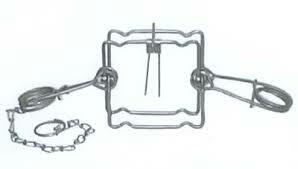 However, that’s not to say that a modestly small trapping kit isn’t worth the weight entirely. Though, snares are considered a ‘low-probability’ trap, meaning that it is unlikely you’ll snag Peter Rabbit with one…if you set 20, you might just snag his brother too. The strength of using lightweight snares is that these traps are nothing but rigged metal wires or cables (depending on what cable-weight suits your strategy). This shouldn’t take up large amounts of space and won’t weigh you down. In addition, they can also be used for other applications. In the event that you lose your cordage, snares would do just fine in a pinch. They can be great for making shelter, trip cords, hafting, and if you were good enough to bring only stainless steel containers, you can use snares to hang your water bottle over the fire for boiling and cooking. The weakness of using snares is their tendency to serve as a ‘one-time-use-only’, kind of trap. If the wrong critter happens to wander into the snare, which was set to catch a meal half its size, then you can pretty much say goodbye to that setup. Especially in freezing temperature scenarios, snares can even become brittle. When that happens, all bets are off. While snares are a great way to go in a short-term scenario, your long-term strategy should include substantially more trapping gear than that. Remember, even if you brought along 30 snares, depending on the kind of game wandering through your area (which isn’t always possible to know off the bat), you might tear up all your snares within a week. One of my favorite kinds of traps is the Conibear, which is considered a ‘body grip’ trap. Fortunately for those of us who are lovers of the backwoods and of the creatures who dwell therein, Conibear traps offer one of the most humane methods of the craft, offering almost a total likelihood of instant dispatch for the critter. Simply put, it wanders into the trap, trips it, and our furry MRE wakes up in small game heaven. In addition, these traps are considered a ‘high probability’ trap, meaning that if something wanders into it – well, then that critter’s goose is definitely cooked. Unlike snares, where the animal has a fairly high chance of escaping (or being taken by a hawk, who’s probably laughing all the way back to its nest), Conibear traps will kill instantly, and secure the animal until you come and harvest. It is usually recommended that you carry an assortment of #110, #120, and #220 Conibear traps, as each number indicates its size and spring-strength. The smaller #110’s are usually good for little critters, such as squirrels and rabbits, but the heftier #220’s will even snag a beaver. Strategize accordingly, but be aware that the bigger the trap, the harder it snaps, which increases your likelihood of broken fingers and lots of cussing–if handled carelessly, that is. Also, bear in mind that if you bring along a trapping kit for sustained wilderness self-reliance, then you will need to be mentally and physically prepared to carry the additional weight. While the #110’s are a pound, and #220’s only weigh in at 2lbs, that weight can add up quickly. In this glorious age of modern trapping methods and gear, we now have traps that are rather easy to set, will last two decades if maintained, and are far more reliable than in the olden days. Of course, we’ve all heard the legends of Davy Crockett-types, ramblin’ through the woods with a musket and moccasins–but even these guys trapped to survive and make a living. Simply put, trapping offers the survivalist, backwoodsman, bushcrafter, and explorer the means by which to hunt… without being present. Set enough traps (the proper way of course), and you’ve increased your chances of harvesting meat from the land. Do this while hunting or fishing, and you’ve increased your chances even higher. If you don’t use traps and rely only on hunting, then you’ve left your survival to the hard chance that game will just so happen to blunder into your sights–within range–and present you with a somewhat clean shot. By the way, it might also be worthy to mention: traps will kill silently. Food for thought. The understanding behind trapping is that it’s based on the concept of residual returns through increasing your chances, elevating your probability of acquiring meat sources. The more traps you bring, the better your chances. If frontiersmen thought this was important, then it must have been. Of course, I’d trust a Davy Crockett over “survival dude” any day of the week and twice on Sunday. This entry was posted in Year Zero Survival Blog and tagged backwoods survival gear, how to survive, long term survival, survival skills, trapping by staff-writer. Bookmark the permalink.